As busy as things have been lately, I can't just blame my lack of posts on that. I've got to admit, I've been a little uninspired lately. My normal channels for inspiration just haven't been coming through and life seems to be speeding by. Well, the other day some inspiration came while listening to a podcast. Pop Culture Happy Hour is one of my all time favorite podcasts. It keeps me tied into what is happening in pop culture. It introduced me to Hamilton. A recent episode was all about a show that I use to watch. All. the. time. 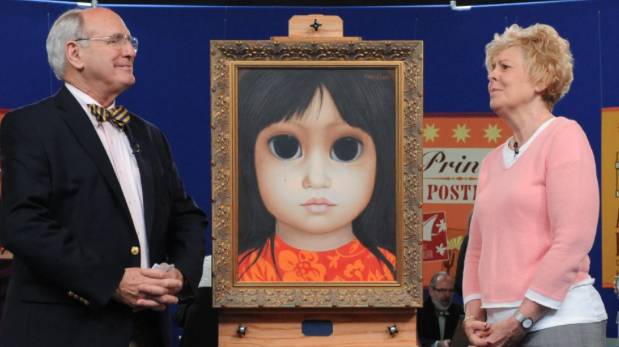 Antique Roadshow totally speaks to my love of old stuff. Listening to this made me remember how much Jonny and I used to love going to Estate Sales and antique shops. Exploring and looking for fun unique finds. Little fact: I once got tickets to go on Antique Roadshow - but couldn't make the date. I was lucky enough to find some time to explore a local antique shop last week. 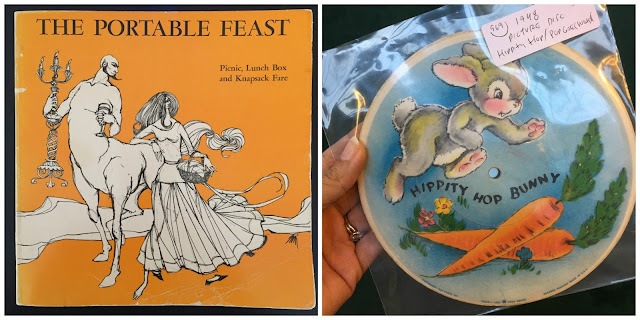 I even found a vintage cookbook all about picnic/travel recipes "The Portable Feast" that I had to get. I looked through old, old photographs and looked at kids games and records and all the fun stuff I use to keep an eye out for. Of course, because we are kind of in a temporary house while we search for our forever (hopefully) home, I can't really buy a lot because we just don't have the room. But I can see inspiration for future decoration. I've decided I'd like to try and keep this passion in my life. I'm going to try and start watching Antique Roadshow at home - since it is TOTALLY kid friendly television. And I'm going to stop and these shops and sales when I can. I'll be highlighting my finds on Instagram stories so be sure you're following me to see some of the fun finds. What do you love that inspires you, creatively? I'd love to hear about it!